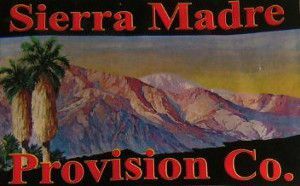 Sierra Madre Provisions are located in Sierra Madre, California, which is in the foothill of the San Gabriel Mountains. They have been in business for over 30 years selling wholesale and retail, using ranch raised cattle. Their meat is hand sliced, and as of today, Sierra Madre Provision Co. sells 18 different flavors of jerky. 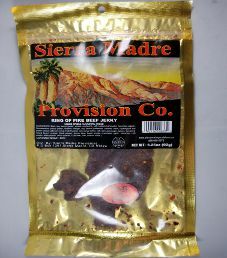 The Sierra Madre Provision Co. jerky brand name is distributed and manufactured by Sierra Madre Provisions. 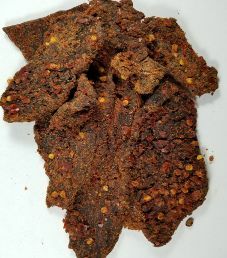 The next review on Sierra Madre Provision Co. will focus on a 3.25 ounce/92 gram bag of their ring of fire beef jerky flavor. We previously reviewed this flavor in 2014, where the bag design has since been tweaked, and the heat level may have been dialed down slightly. This flavor is described as “Hot, hot, hot! Who will try the ring of fire?” The jerky was kindly submitted by the creator of this Sierra Madre Provision Co. jerky brand, James Schaft (a.k.a. – Jimmy the Jerky Man). Sierra Madre Provision Co. uses ranch raised beef, which means the cattle have free range access to graze on grass. The cattle are also ethically raised, meaning that the cows received no growth hormones or additional antibiotics. As a result, the ingredient rating starts a Very Good (9/10) rating. The liquid marinade used here contains an average brand of soy sauce, a fair brand of Worcestershire sauce, healthy vinegar, liquid smoke, and healthy lemon juice. Lemon juice is generally healthy, and a great addition to a ring of fire flavor, to help offset the heat. Unfortunately, the Worcestershire sauce uses the highly processed unhealthy sweetener high fructose corn syrup solids to lose a rating. The spiciness in this ring of fire comes from several sources. 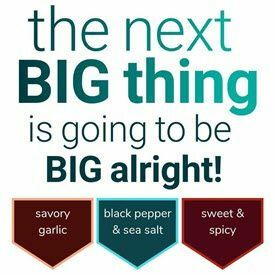 Surprisingly, cayenne pepper is third on the ingredient list by weight, which is a healthy spice if eaten in moderation. Habanero chili powder is one of the hotter spices out there. 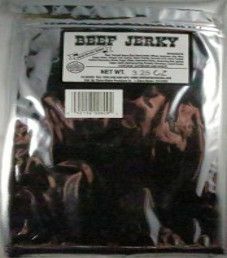 This jerky does not qualify to be sodium nitrite free, as sodium nitrite is used outright as a preservative to lose a rating. This jerky does not qualify to have no MSG added, because the highly processed flavor enhancer hydrolyzed soy protein is used to lose another rating. When I open the bag I smell soy and heat. When I bite into the first piece, I am met with salt, black pepper, garlic, slight sweet, Worcestershire/soy sauce, and then CRASH!! BOOM!! BANG!! the ring of fire just envelopes my taste buds and cuffs them, both literally and figuratively. I am bound and gagged, thrown in the brig, and propped up in an old, creaking chair. The interrogator rips off my gag and says in a sinister tone, “Ve hav vayz of making you talk. Ve vill keep jamming this ridiculously hot ving of fire jerky down your troat, until you spontaneously combust”. But I love the insane heat, and I refuse to capitulate, so they finally let me go, and me and the Sierra Madre Provision Co. ring of fire jerky live to fight another day. All kidding aside, this jerky more than lives up to its title, it is easily a 4 out of 5 on the heat scale, and d*mn, is it tasty. A 10/10 taste rating gentlemen. This 3.25 ounce/92 gram bag sells online for $6.99, which works out to $1.84 an ounce. That rates as a cheap price. Free shipping is offered on orders over $49. This is a fairly tall bag. The front is gold colored, and the back is silver colored with nothing on the back. There is a label affixed to the front, plus a separate sticker that states “Ring of Fire”. The scenic picture on this bag depicts mountains, including a few California palm trees.